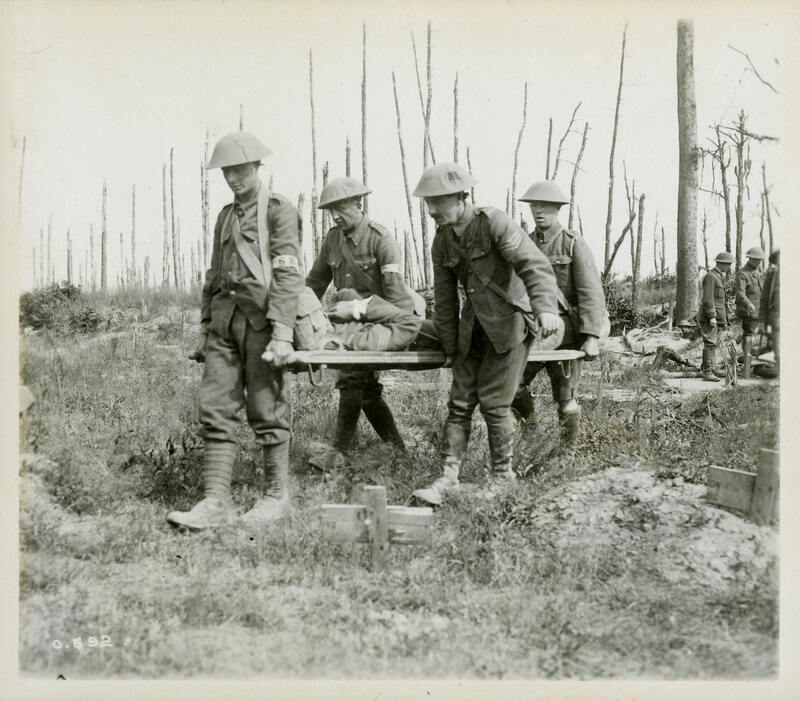 Soldiers of the 5th Battalion carry a wounded soldier to a light railway located a few kilometres behind the lines. The wounded man wears bandages on his wrist and head, indicating that he has received first aid. Two men wear armbands bearing the initials "SB" for "stretcher-bearers." They appear to be walking through a ruined forest and past graves.